This month, we’re continuing our mission statement series by focusing on another key element: helping people recover their health, hopes, and dreams. 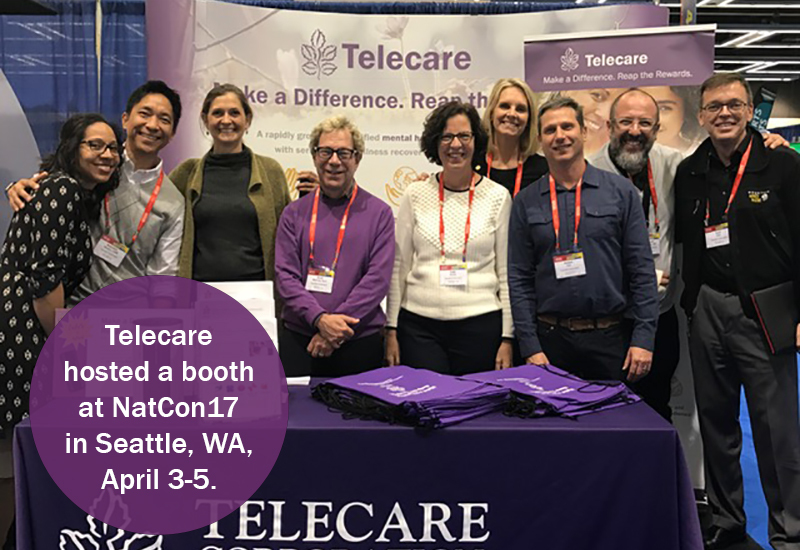 At Telecare, we’re not waiting to see if funding for Whole Person Care will be supported by the new federal administration. We know too well that siloed treatment of mental health, physical health, and substance use contributes to earlier mortality for the people we serve. We, therefore, believe there’s a moral imperative to deliver more integrated care. So we remain committed to moving forward with Whole Person Care, regardless of the political climate. This is a big topic with many facets. In this issue, we’re specifically focusing on Telecare’s Health & Wellness Curriculum, our entry point into a wide-scale adoption of Whole Person Care at our organization. The Health & Wellness Curriculum is a web-based training program for all of our staff. This curriculum helps them understand the chronic health conditions that most commonly affect our clients as well as the role they can play in encouraging clients to make healthy lifestyle choices. Health literacy for staff is a foundational element in providing integrated care. We are working hard to help staff build the skills and knowledge they need to provide targeted interventions that support healthier choices. In May 2016, Telecare introduced the newest learning component in our Whole Person Care Initiative within our organization: The Health and Wellness Curriculum. You can read about the curriculum here or watch a video from Telecare's Chief Medical Officer, Kent Eller, in explaining its importance and how it will help staff better serve our clients. We invite you to learn more about the Health & Wellness Curriculum and find out some of the mini successes we have been seeing at our programs.